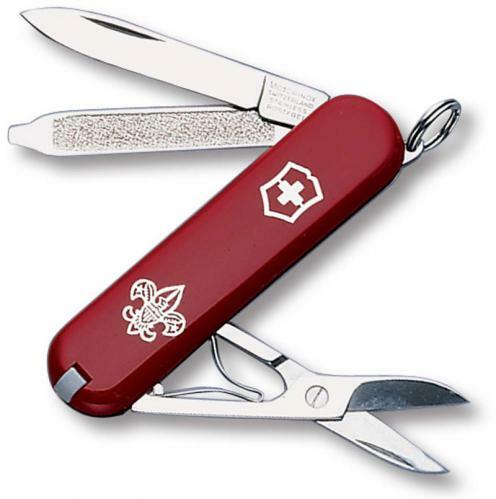 The illustrated Victorinox Knife is the Victorinox Classic SD Knife with Red handle and Boy Scouts of America logo. The components of this Swiss Army Knife include a blade, nail file with screwdriver tip, scissors, toothpick, tweezers and a key ring. 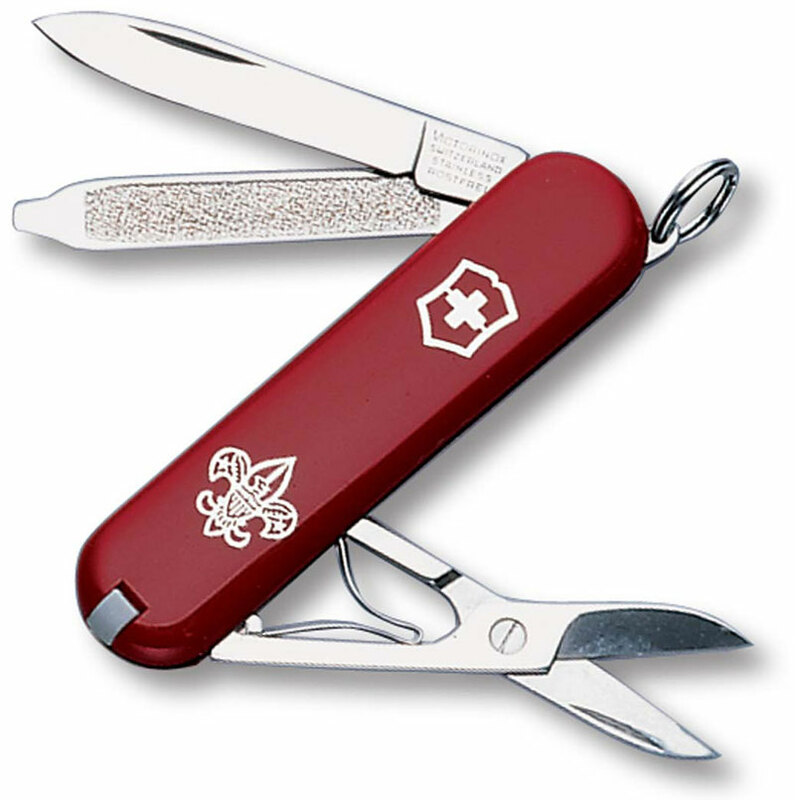 The Victorinox Classic SD Knife with Red handle and BSA logo has a closed length of 2 1/4". I have been using them for almost 50 years. If I could remember to take them out of my pocket at the airport, I could save a little money. Great product.